Apple launched three new iPhones last year and it is looking to do the same in 2019 as well. One of the iPhone 11s, possibly the iPhone 11 Max, will come with three rear cameras, reports Bloomberg. 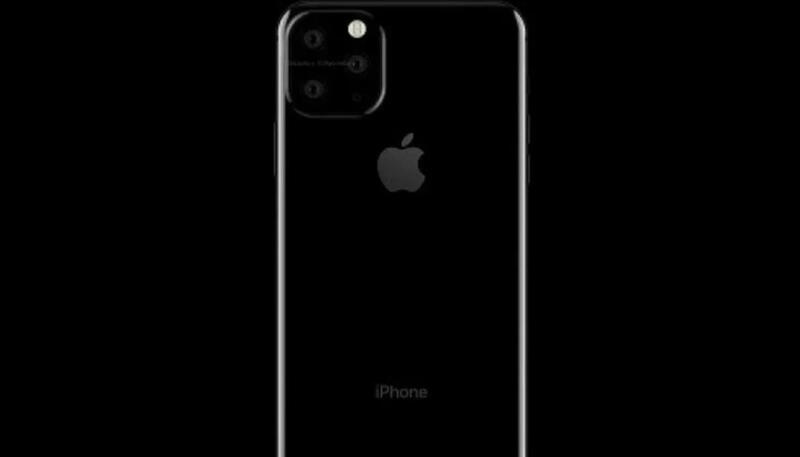 This corroborates a recent WSJ report that claimed something similar for the highest-end iPhone model this year and falls in line with an @Onleaks render that seemingly showed off this triple camera setup for the first time. The current-generation iPhone XS and iPhone XS Max both have the same dual rear cameras. The iPhone XS and iPhone XS Max, in fact, share many hardware features with each other. The biggest difference comes in the form of size. While the iPhone XS is a 5.8-inch iPhone, the iPhone XS Max has a larger 6.5-inch display. Should the iPhone 11 Max pack three cameras, and the smaller iPhone 11 sport two or less, it would set greater differentiation – beyond just size -- between the two upcoming iPhones. Although past rumours hinted at time-of-flight functionality, the Bloomberg report says the third sensor in the iPhone XS successor will be wide-angle and will be also able to “capture more pixels so Apple software could, for example, automatically repair a video or photo to fit in a subject that may have been accidentally cut off from the initial shot.” Apple is also said to be reworking on its Live Photos feature with double the current length. Apple also seems to be testing versions of the iPhone 2019 that ditch its Lightning port for USB Type-C charging and while it isn’t clear if Apple will go ahead with this, this year, it leaves us with something to look forward to even more since Cupertino may not be looking to update the design of the next iPhone. A faster processor and possibly faster Face ID will be also in the cards. Previously, WSJ had reported that Apple is looking to refresh the iPhone XR with a new iPhone 11R model that would pack a dual camera system. The iPhone XR notably has the same primary rear camera as the iPhone XS and iPhone XS Max, but the absence of a secondary camera means it can’t do telephoto and neither can it shoot portraits of anything else but humans. With two cameras, the iPhone 11R could become an even more compelling package considering that it is still expected to cost less than the iPhone 11 and iPhone 11R. Apple will reportedly stick with LCD again, which means no OLED for iPhone 11R like the iPhone 11 and iPhone 11 Max. Apple is rumoured to go all OLED only in 2019, which is also the year when it officially takes the 5G route.